Summer brings a whole host of outdoor activites, and one of the most fun & challenging is 3 Gun Competition Shooting. Requiring expertise with pistol, rifle and shotgun over a timed course, 3 Gun Competition events are held all over the US. Frank asked Windham Weaponry to build a carbine to his detailed specifications, and the resulting carbine – our Featured Gun of the Month – includes a Midwest Industries Key Mod 15″ Forend; Magpul MOE Telestock; BCM Pistol Grip, Charging Handle & Compensator; CMC Trigger; Mid-length Gas System and Frank’s Way of the Gun DVD & Sling. See all the detail below. Shown here is a rather extreme example of a dirty carrier which hasn’t been cleaned in about 5000 rounds. For cleaning a carrier I like the Carbon Scraper Tool (WW Part # CARBONSCRAPER – $36.00 – with a model also available for .308 / 7.62x39mm caliber) and Wipe Out Tactical Advantage Solvent (WW Part # CLEANER-TACADV – $15.95). Here I just simply applied the Tactical Advantage and used a toothbrush. You can also soak the carrier in this solvent to make carbon removal even easier as it won’t harm the chrome lining. Any places you can’t reach with the carbon scraper you can use a razor blade to carefully remove thick carbon deposits. But if you don’t go 1000 rounds or more without cleaning your carrier you won’t have this much carbon to scrape off. Also note that you can use the part of the scraper used for the bolt tail to clean carbon from the retaining pin area of the firing pin. 3) A high quality Magazine appropriate to the Caliber of the Rifle: 30 Rd .223/5.56 mm caliber (for states where they are allowed / 10 Rd. for states with that restriction). For our .308 rifles, a 20-Rd Magpul P-Mag is included (except for states that require a 10-Rd. magazine where that is substituted). poles or for mounting on building sides, it features strongly hemmed edges, embroidered stars and brass rope grommets. Let your patriotism fly! Your patriotism will show with these Windham Weaponry Rubber Velcro US Flag patches. They are molded of durable, flexible rubber in either Coyote Tan or Olive Drab and have a velcro “hook” patch sewn on the back to allow attachment to any bag, backpack, or garment with an appropriate “loop” velcro area. Looks great on our Windham Weaponry Accessory Planner (Part # ACC-PLANNER). Photo shows front of patch and portion of velcro backing. Patches measure approximately 3″ wide x 2″ high. With summer upon us things sure are heating up here in Maine. Cindy and I have been very busy with our LE and International sales here at Windham Weaponry. We have also been running some great specials for individuals that qualify for our IO/Military discount programs so if you are in need of parts, accessories, an upper or a complete rifle, PLEASE reach out to us for discounted pricing. I was able to travel to Lititz, PA this past week for an armorer’s class that WW held with DNA Weaponry. The class was awesome and we had 20 students attend for various agencies around PA and the US. We had one officer from as far away as San Antonio TX. A special thank you to my instructors, Greg Lee and Mike Sanders, as they did a great job teaching the two day course. 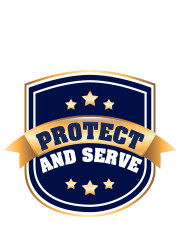 To qualify to attend a class you must have at least one of the following; (1) hold a current and valid permit to carry concealed, (2) have a current FFL or work for a business that has a current and valid FFL, (3) be an active police officer or a retired officer covered under HR218. 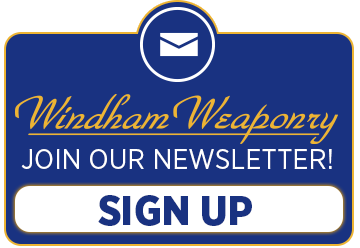 In this Section, we encourage our customers & friends to send us their comments, photos and experiences with Windham Weaponry products. What are you doing with your Windham? I have recently purchased my very first AR15, a Windham Weaponry AR15 with an heavy barrel here in Switzerland and I’m extremely happy with my purchase! Thank you for making such amazing products, I will be recommending your brand to all my friends and also at the range that I go to! P.S. Attached is a picture of my amazing WW AR15! I am a 63 year old lifelong hunter and sportshooter born, raised, and still residing in Northwest Ohio. I never really had a desire to have an AR or any other military style rifle because of the many liberal anti-hunt/anti-gun folks that have made their way into our rural communities. Many of those folks share Obama’s view of ARs as being a “high powered dangerous assault rifle”, or in some cases a “machine gun”. I just always wanted to avoid any confrontation with ignorance of guns and hunting. My wife of 42 years and I have 3 sons that too are lifelong hunters and sport shooters. Two of them live in Phoenix, Arizona and the other lives in Las Vegas. They are still active hunters and sport shooters. A few years ago one of them bought a Spikes AR. I looked at it and put it to my shoulder and thought “yup, a machine gun”. Now fast forward to a couple years ago when I was given a Windham Weaponry catalog by a co-worker who owns a Windham. He even came to my sportsman club and had me shoot it. I hadn’t taken the time to look through the catalog as I thought “all it contains is pictures of those dangerous machine guns, and if I get one, I’ll be looked at as a nut case old man with a machine gun”. But then one day at work during my morning break, I began flipping through the catalog and stopped, mouth agape, when I saw the picture of the SRC in TreeBark Camo.” Now this,”I said to myself “is a hunting rifle, not a machine gun”. Long story short, I bought one, absolutely love it, shoot it often, hunt varmints with it, and will keep it forever. I did put a Geisele two stage trigger in it, put a Nikon ProStaff 3-9X40 camo scope on it, and bought a really cool camo sling for it that my wife did some incredible seamstress work in order for it to fit the rifle properly. Recently, somewhere on your website or on a piece of Windham literature I saw an email address telling people to “send pictures of how you use your Windham”. I can’t remember where I saw that ad, but here are a couple pictures. Thanks for a great rifle that opened my eyes (and brain) to the amount of fun that can be had with owning an AR15. To send items, please email: newsletter@windhamweaponry.com.